Smart home tech consumption is on the rise and it makes sense. Automating a home not only increases its resale value, but has the potential to minimize our everyday hassles and reduce monthly energy bills. Every year CNET, a leading source of technology-related news and reviews, publishes a list of Best Smart Home Devices in various categories: smart locks, thermostats, DIY security, LED bulbs, etc. Today we will be taking a look at the overall top 10 best devices across all these categories. 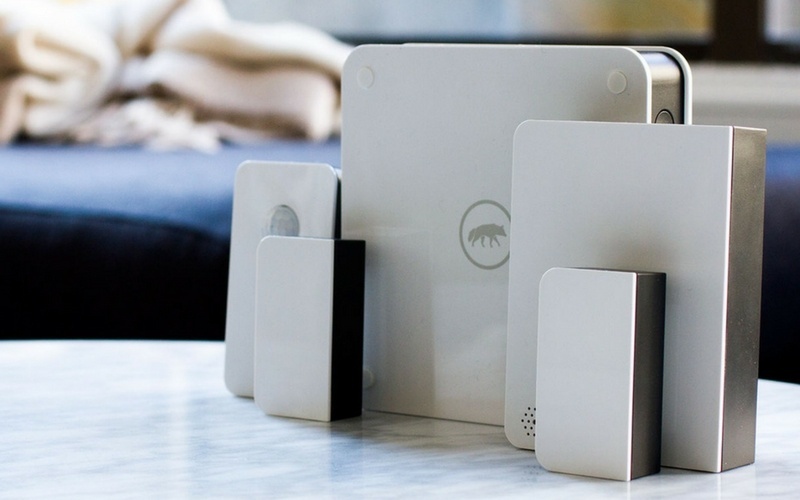 Scout is a self-installed, wireless home security system. There is no hardwiring and no drilling, which is why you don’t have to hire a professional to install the system. With a dedicated app for iPhone, Apple Watch and Android, you can monitor and control your home security from anywhere at anytime by checking out the live activity feed, arming your system or responding to an alert as you prefer, all in the app. 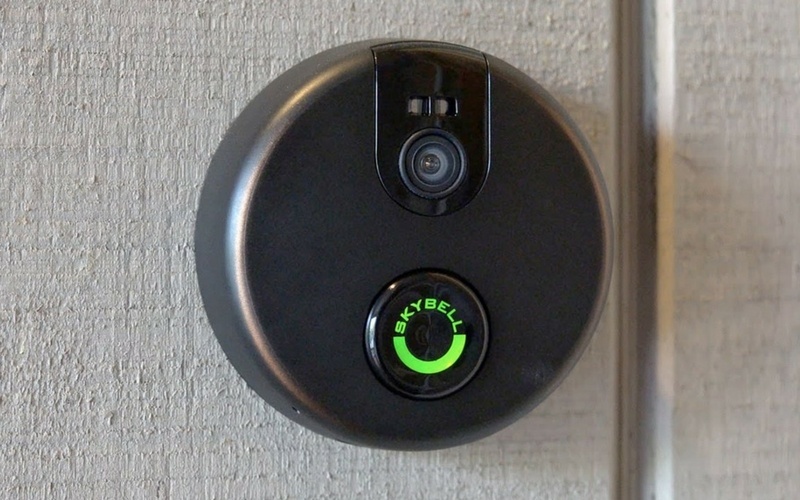 SkyBell is a smart video doorbell that allows you to see, hear, and speak to the visitor at your door whether you’re at home, at work, or on the go. 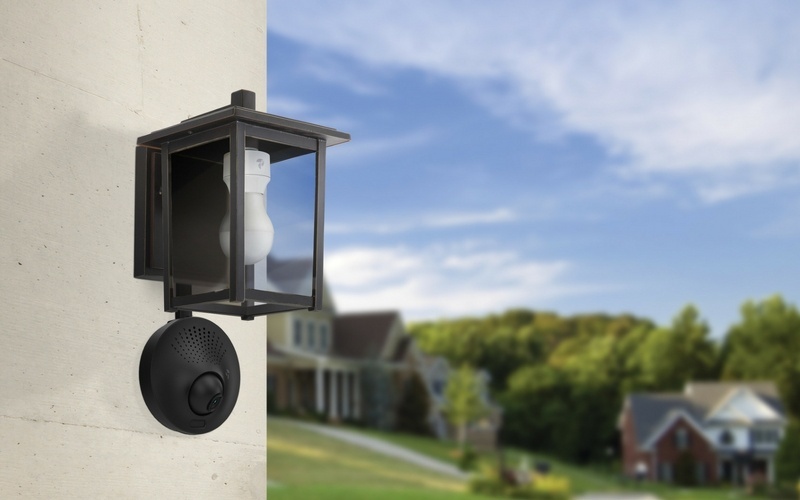 Featuring an integrated camera, PIR motion sensor, digital microphone and speaker, you can use the Wi-Fi Doorbell Camera to answer the door, speak to visitors via two-way audio, record doorbell triggered clips, and set motion triggered automation rules. 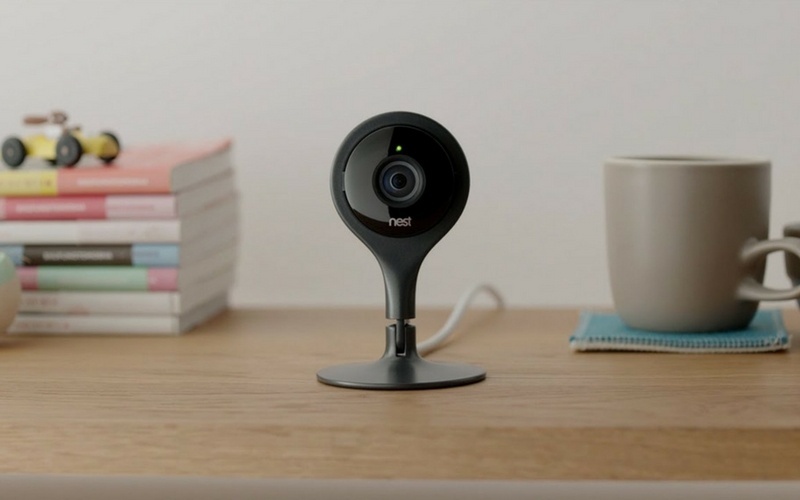 The Nest Cam Indoor security camera is designed to help you look after your home and family – even when you’re away. With 24/7 live streaming, a versatile magnetic stand, person alerts with Nest Aware and one app for all your Nest products, Nest Cam Indoor helps you keep an eye on what matters. From anywhere. If Nest Cam thinks something’s up, it’ll send a phone alert or an email with a key image from the event. Toucan Outdoor Home Security Camera is a preventive surveillance system built to retrofit most existing outdoor light fixtures. With a wide angle, adjustable HD camera, passive infrared motion sensor, a 100dBA remote panic alarm and 2-way communication speaker and microphone, Toucan detects activity at your doors providing automatic notification directly to smartphones via the Kuna mobile App. It’s an easy 3-step installation, no hardwiring or batteries needed. Negative Review: “Let me start by saying that I really wanted to like this camera……Toucan stood up, with it’s two-way audio, free recording of up to 2 hours and the ability to control the light socket through the app……..
Amazon Echo is a hands-free speaker you control with your voice. 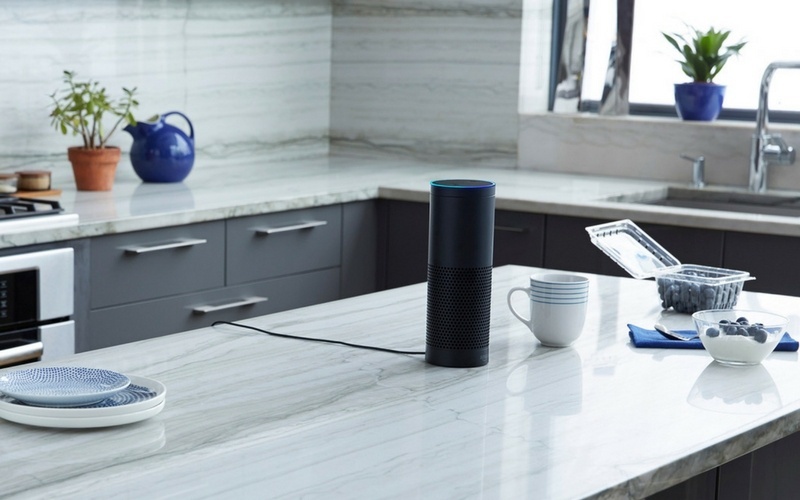 Echo connects to the Alexa Voice Service to play music, provide information, news, sports scores, weather, and more—instantly. All you have to do is ask. Echo has seven microphones and beam forming technology so it can hear you from across the room. IT is also a speaker that can fill any room with 360° immersive sound. When you want to use Echo, just say the wake word “Alexa” and Echo responds instantly. 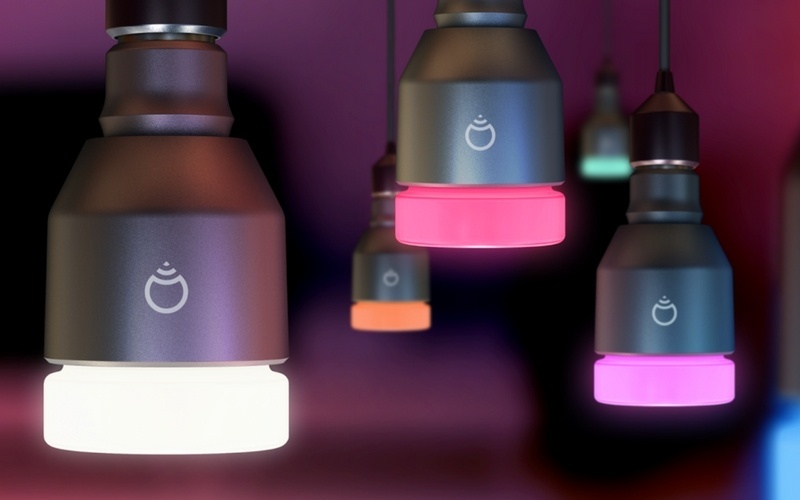 LIFX is a smart lightbulb that uses Wi-Fi to bring immersive color to your home. A simple-to-use app allows you to fine tune your lighting experience; control a single light or your entire home and enjoy strong vibrant colors along with delicate whites. LIFX lights work with Amazon Alexa. Use simple conversation starters to turn your lights on and off, change the brightness, make them warmer and swap them to your favorite color—all with the power of your voice. With its installation free kit, all you have to do is screw in the Hue White LED bulb in your standard fixture and switch on the light. You can immediately control your light using the battery-powered Hue Dimmer switch. No need to call an installer. The switch is magnetic and can be removed from the back plate. This allows you to also use the Philips Hue Dimmer switch as a remote control for your light with an indoor range of up to 12 meters. 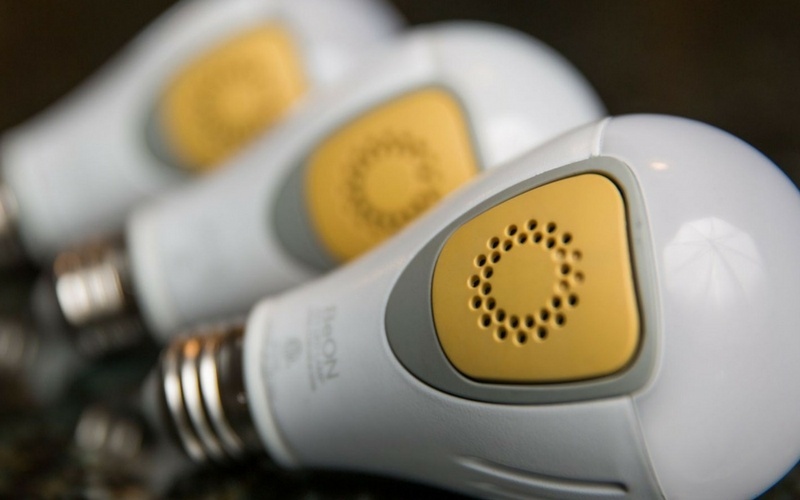 The BeON Home Starter Pack consists of three LED light bulbs, three Bluetooth-enabled plug-in modules, and an app for Android and iOS mobile devices. Deters burglars by making it look like you are home. 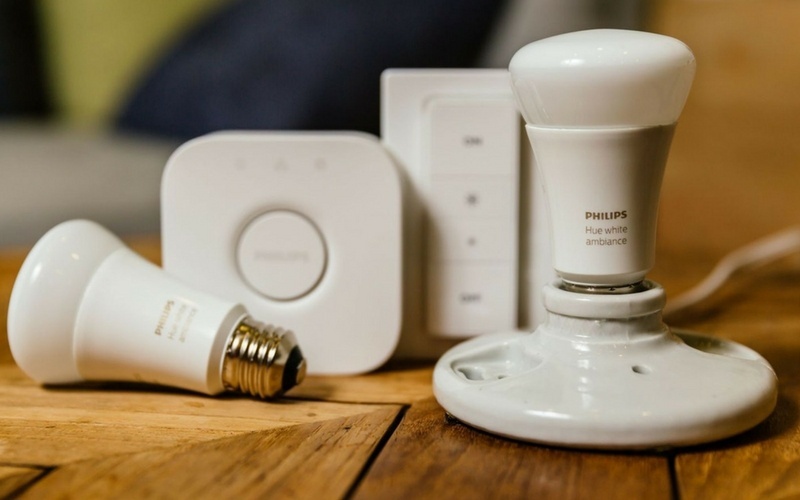 Learns and replays your lighting while you are away and even responds to the burglar’s doorbell check by turning on lights just as if you are home. Nest Protect has been redesigned from the inside out. It has an industrial-grade smoke sensor, can be hushed from your phone, tests itself automatically, and lasts up to 10 years. And just like the original Nest Protect, it also tells you what’s wrong and can even alert your phone. Both the wired and battery versions of Nest Protect take only minutes to set up with your iPhone, iPad, or Android device. Once they’re connected to Wi-Fi, every Nest Protect in your home will automatically connect to the others. 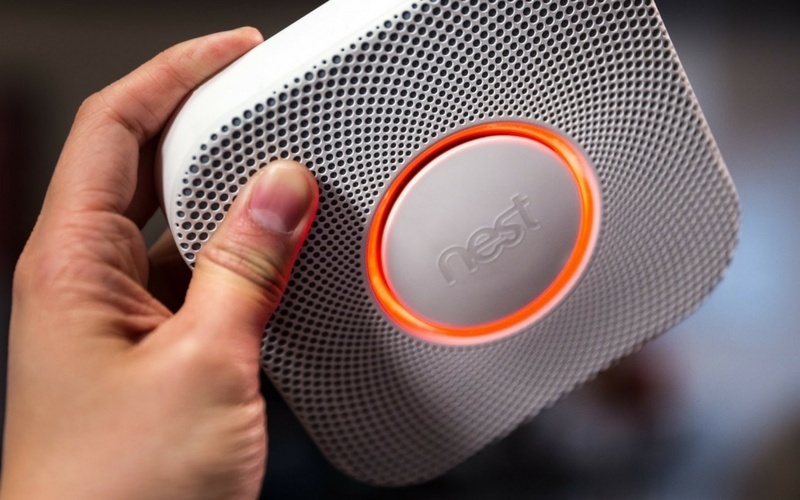 The Nest Protect is also easier to attach to the wall or ceiling thanks to a redesigned backplate. Ultra-quiet and easy to install, Serena shades are powered by standard alkaline batteries that last three to five years and can be controlled by either a handheld remote control or by a smartphone or tablet. You can select from over 150 fabrics to find a perfect fit for your home style. The Good: Lutron’s Serena Smart Shades are easy to install and use, HomeKit offers promising smarts and overall the experience is pretty painless. The Bad: They’re expensive and require a $150 Smart Bridge to integrate with HomeKit, plus some of the features like Geofencing and Siri integration come with the expected spotty performance. The Bottom Line: Serena has a lot of things going for it but the price will push these shades out of the range of many would-be customers, and the performance hiccups show room for improvement.